Australian-born Simone Young is internationally recognised as one of the leading conductors of her generation. In August 2005 she took up the post of General Manager and Music Director of the Hamburgische Staatsoper and Music Director of the Philharmonic State Orchestra Hamburg and has already celebrated many outstanding successes including the commencement of the Hamburg Ring cycle, Simon Boccanegra, Tristan und Isolde, Mathis der Maler, Salome and Daphne. This contract has been extended until 2015. She was Music Director of Opera Australia from 2001 to 2003, Chief Conductor of the Bergen Philharmonic Orchestra from 1999 to 2002 and among others has conducted the Berlin, Vienna, Munich, London and New York Philharmonic orchestras and the Staatskapelle Dresden. She is an acknowledged interpreter of the operas of Wagner and Strauss including Der Ring des Nibelungen, which she has conducted most recently to great acclaim at the Staatsoper in Berlin, and the Vienna Staatsoper. Other companies she has worked with include Bayerische Staatsoper in Munich, Metropolitan Opera in New York, the Bastille in Paris, Royal Opera House Covent Garden, Los Angeles Opera and the Houston Grand Opera. In Australia the focus of her work during 2000–2003 was Opera Australia, where her opera and concert work with the Australian Opera and Ballet Orchestra and her development of musical standards in the company received praise from the profession and the public alike. During this time, productions she conducted included Die Meistersinger von Nürnberg, Otello, Eugene Onegin, Lulu, Lucia di Lammermoor, Tristan und Isolde, Tannhäuser, Falstaff, Don Carlos, Andrea Chenier, La Bohème, Don Giovanni and Le nozze di Figaro (from the fortepiano), Katya Kabanova, Un Ballo in Maschera, Der Rosenkavalier and Cavalleria Rusticana / Pagliacci. Recent performances have included Macbeth, Falstaff, Salome, Daphne, Die Frau ohne Schatten, Don Giovanni, Das Rheingold, Arabella, Dialogues des Carmelites, L'Upupa und der Triumph der Sohnesliebe at the Hamburgische Staatsoper, and the Salzburg Festival with Klangform Wien. In 2007 Simone was elected to the Akademie der Kuenste in Hamburg, was nominated as the Conductor of the Year by Opernwelt magazine and awarded a professorship at the Musikhochschule in Hamburg. 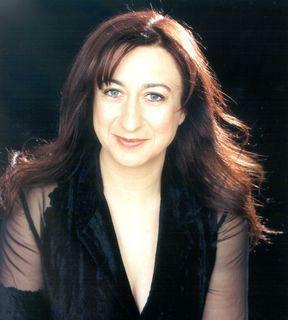 Her awards include Green Room Awards for her 1996 performances of Die Frau ohne Schatten at the Melbourne Festival, 2001 performances of Tristan und Isolde and 2003 performances of Lulu, the 2005 Helpmann Award for Best Classical Concert with the West Australian Symphony Orchestra, the 2002 Helpmann Award for Best Musical Direction (Andrea Chenier) and the Australian Mo Award for ‘Classical Performer of the Year’. She has received honorary doctorates from Monash University and the University of New South Wales, and has been honoured with the Chevalier de l’Ordre des Arts et des Lettres from France. In 2004 she was appointed a Member of the Order of Australia in the Australia Day Honours List. In 2005 she received the prestigious Goethe Institute Medal. As well as conducting operas in the Sydney, Melbourne and Brisbane festivals, Simone Young regularly returns to Australia to work with both the West Australian Symphony Orchestra and the Sydney Symphony. Simone Young has been chosen as the recipient of the 2011 Sir Bernard Heinze Memorial Award for her outstanding contribution to music in Australia. 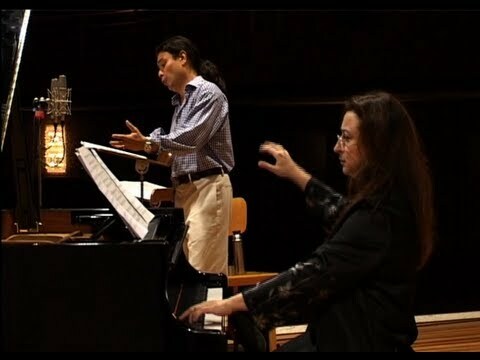 Tenor Steve Davislim and pianist Simone Young perform the Benjamin Britten arrangement of folksong 'Foggy, Foggy Dew' and speak about their approach to presenting this piece.